And what, pray, could make me that excited? I’m HOME. 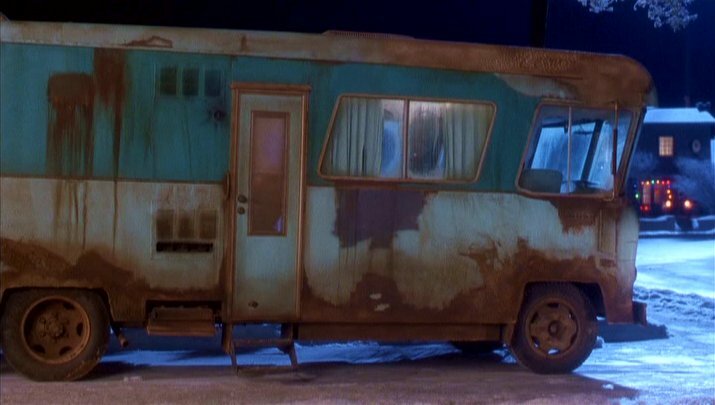 And by that I don’t mean my home-home. That’s where I’d just been. No, I was in my now-home. I’ve been away for six weeks, making the annual summer expat pilgrimage back to the home country. My Instagram feed is full of pictures of friends home in the U.S., the U.K., Finland, the Philippines, South Africa. Everyone wants to escape the heat, families use the school break to take kids back to the home country, and at the moment Ramadan aligns pretty closely with both those imperatives (along with a week-long national holiday at the end). So, yeah. Everybody splits. But it’s over, school’s about to start, and we’re all trickling back. Returning to Saudi Arabia after being abroad can be a shock to the system. When you’re here for a long time, you normalize to strange things, and after six weeks circulating in the free world those things tend to smack you somewhere about the region of the face. Third-world chaos at the airport, baggage delays, nervous veiled women clinging together, cars parked in the pickup lane, unbuckled children hanging out of windows, a car backing up into traffic. There’s no gentle re-entry phase. 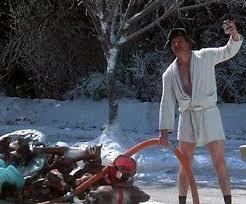 Cousin Eddie totally had it goin’ on, right? My kids are going to be over the moon when I pull in and hook up. You see, my house and my family are all in the U.S., but the distribution looks like a dartboard if the players weren’t very good at darts. I’ve spent the last six weeks saying hello, saying goodbye, going to airports, packing, unpacking, and doing it all again. My family and friends have been wonderful, and I would wish to double every minute I’ve spent with them, but at the same time, six weeks is a long time to be a good guest. Sometimes you just want to wash your toast down with a swig of milk straight from the jug. Get ready in the normal amount of time, rather than estimate how much extra it’ll take to find everything. Go to bed early. “Home is where the heart is” must be true in only the most figurative way. It needs to hang right next to “Do what you love” on the Wall of Fame for aphorisms with zero application in real life. (“I love to knit little stocking caps for cats. Shall I make that my work, then?”) My heart is in seven different places, only two of them less than 500 miles from each other. Under those terms, I’d never be home. Besides—hearts are expensive. As much as certain places might make them beat faster, as a practical matter they need to be fed, clothed, sheltered, employed, insured, entertained, transported… You need to be able to make them happy in the place where those things can happen. I don’t imagine I’ll ever see all the pieces of my heart reassembled in one place. No matter where I am, I will always be away from someone or some place that I love. But for every place I’ve left a piece of my heart, I’ve worked out a decent trade and taken a piece of that place with me. Treasures I’ll have forever. So if I want to keep my heart with me, I have to hang onto those things rather than respond to the pull of the pieces left behind. Perhaps instead of trying to make my home where my heart is, I need to make sure my heart is where my home is. At the moment. And it sure seems easier for my heart to be contented when I’m in the same place as my laundry detergent. As strange as it is to call the little house behind a razor-wire-topped wall “home,” as little as I understand the languages spoken around me, as foreign and incomprehensible as many of the customs are to me, as little as this country wants me here and as ready as it is to slam the gate shut behind me as I leave, it’s the place where my stuff is. And therefore, the place where my heart is. It’s good to be back together. P.S. Do an image search on “hats for cats.” There may be more opportunity in this field than I thought. Having just returned from 6 weeks abroad, your thoughts chime oh so true. I’m sorry our travel paths didn’t cross. I was hoping to talk about teaching opps there and just catch up in general. Can you email me when you settle in? I will! Yes, traveling is not a universal taste–there’s definitely a trouble and comfort cost, and I know a lot of people who find the cost too high for the enjoyment they can get from it. I hope your summer was a good one!